Located at the foot of the Rocky Mountains in an area of outstanding natural beauty, Denver has always been a center for outdoor recreation. But today, Colorado's booming capital city is becoming as well known for its chef-owned restaurants, breweries, live music, galleries, and trendy young neighborhoods. 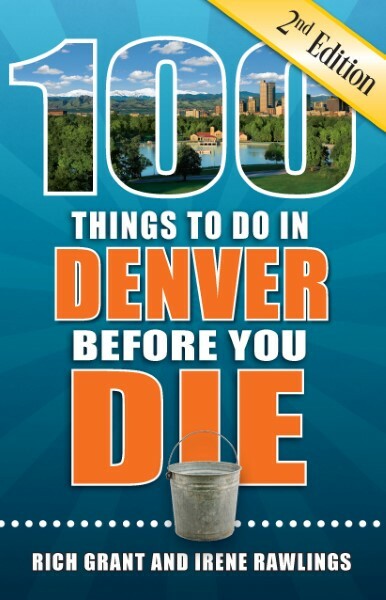 Whether you are a transplant looking for new adventures in the Mile High City or a first-time visitor searching for vacation ideas, let this book be your guide. Here are places to bike, hike, walk, climb, sip, taste, browse, and explore. From LoDo to LoHi, Cherry Creek to Longs Peak, this second edition of 100 Things to Do in Denver Before You Die is the guide to experiencing the best that the Front Range of Colorado has to offer.